I have completed my B.S. in Marketing from The University of Scranton and preparing for the MCAT whist being enrolled in the Post-Baccalaureate Pre-Health Program at Fordham University. I have a varied background in math, science, business, and even creative and persuasive writing. My ability to draw examples from real life and real life experiences including chemical based lab work. Writing is a passion of mine and I love teaching people new words. I also have a passion for word origins. 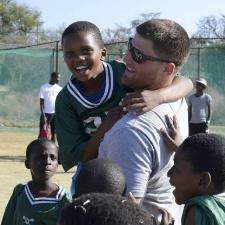 I Played division 3 lacrosse at the University of Scranton and coach both for the Union County College and in South Africa. I have a wide variety of skills, my most cherished, the ability to connect with people and hopefully encourage a fun learning environment.